Organised by the Jaeger Brigade in Rovaniemi from 26 February to 2 March 2018, the exercise LAPPI 118 can be witnessed in the centre of Rovaniemi from 26 February to 28 February 2018, on Tuesday and Wednesday in particular. Both personnel and vehicles from the Finnish Defence Forces and other authorities participating in the exercise will be on the move and training from 26 to 28 February in areas in the vicinity of the Police Department, Rovaniemi Town Hall, School of Ounaskoski as well as Rovaniemi Airport. 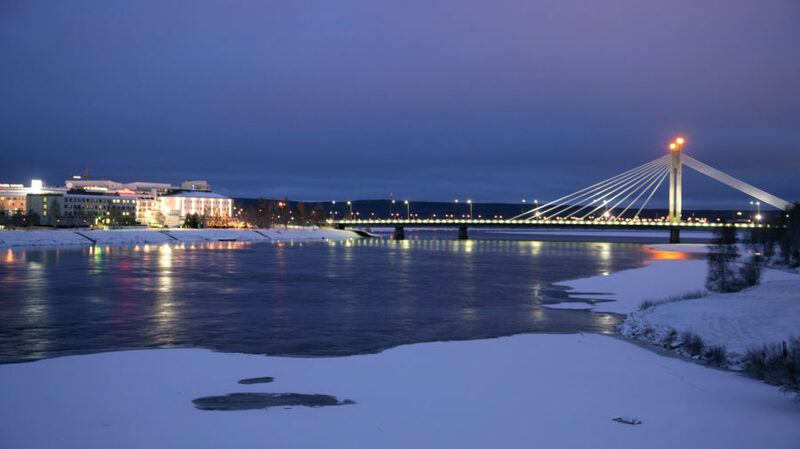 On Wednesday 28 February, Finnish Defence Forces’ heavy vehicles will move from the Somerharju Garrison along the Suutarinkorva Bridge to the area of Ounaskoski Beach. In addition, light infantry units will conduct training in the area between the Valtakatu Street and Ounaskoski Bridge. The estimated training time is expected to extend from 10:00 until approximately 16:00. Meanwhile, as part of this exercise, training may induce noise in the area of the Ounaskoski School and also result in congested traffic in the vicinity of the training areas. The Police and Military Police will direct the traffic and close off the areas necessary for the purposes of the exercise. The participants of the exercise LAPPI 118 include personnel from the Jaeger Brigade, Lapland Air Command, Lapland Border Guard District, Lapland Police Department, Lapland’s Regional State Administrative Agency, and Lapland’s Centre for Economic Development, Transport and the Environment, Lapland Hospital District, as well as Finavia, and the Regional Rescue Services of Lapland. Overall, the total strength of the exercise equals circa 600 persons. The exercise will be commanded by Lieutenant Colonel Arto Vaarala. The exercise’s objective is to train and develop local-level inter-agency cooperation between authorities in case of disturbances, and thereby enhance the competence of reservists, conscripts and personnel in local defence missions. As such, the exercise LAPPI 118 represents one of the five local defence exercises led by Finnish Army brigade-level units and organised in the regions of Kymenlaakso, Ostrobothnia, Northern Savonia, Rovaniemi, Satakunta, and Uusimaa from 26 February to 9 March 2018. These exercises facilitate the inter-agency cooperation capability of the security authorities as part of a rapidly developing situation framework. You may follow the exercise online on the Finnish Army’s Facebook and Twitter pages using #lappi118. During the course of the exercise, citizens may use the number +358 299 452 112 for enquiries.